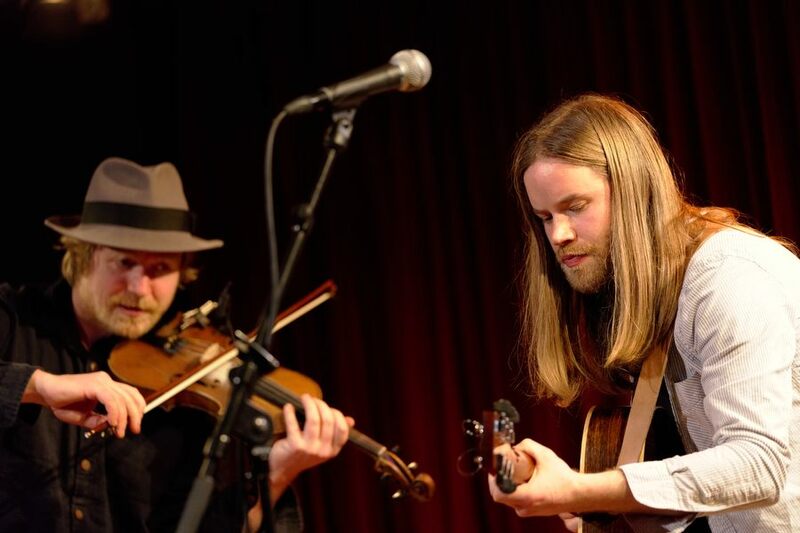 Kit Hawes and Aaron Catlow are a Bristol based duo playing acoustic, folk and roots music. The pair have work with many artists including Seth Lakeman, Afro Celt Sound system, Yola Carter, Mad Dog Mcrea, Sheelanagig and Roni Size to name a few but what unites them is a passion for folk music. They draw on their many influences to create unique arrangements of traditional song and tunes, as well as their own compositions. The live show is a musical journey through Europe and beyond; combining dazzling playing with a fine sense of musicality and showmanship. Kit Hawes and Aaron Catlow's debut album The Fox has been received with critical acclaim. It explores the relationship between fiddle, guitar and voice, using the fertile ground of the traditional music of the British Isles as its starting point. The product of decades of musical experience, the track listing combines self penned tunes and folk tales, all intricately arranged and heartfelt.